Posted on November 2, 2018 by Eric Bonnici wrote in Entertainment News. It has 0 Comment. For a decade, electrifying local band, Greatest Hits Live have mastered the art of reproducing the greatest rock music of our time to its highest level and the proof could be seen live at the Capitol Theatre in Windsor on Saturday, October 6, 2018, during what was dubbed, The Greatest Hits Live 10 Year Anniversary Concert. Not only did the band rock, they also raised funds for local charity. 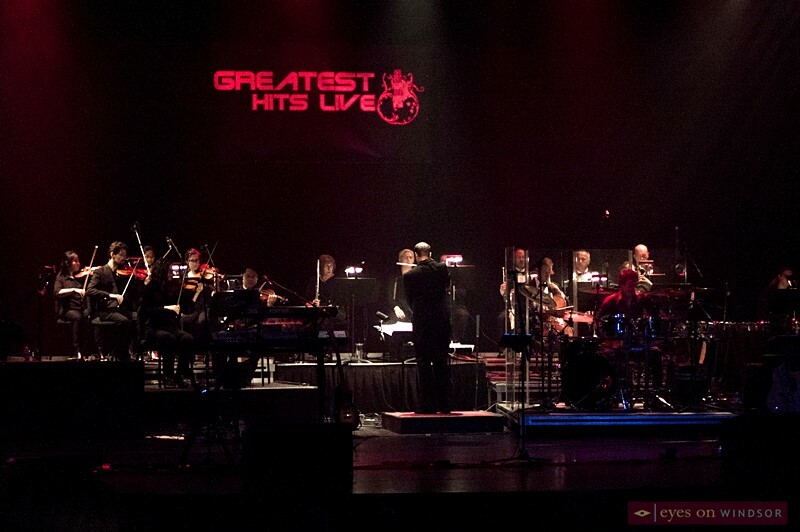 Greatest Hits Live performing with a 15 piece orchestra during their 10 year anniversary concert at the Capitol Theatre in Windsor, Ontario, on October 6, 2018. Photo by Eric Bonnici / Eyes On Windsor. The benefit concert, presented by Liuna 625, was in support of Transition to Betterness (T2B) and the Capitol Theatre Benefit Fund. 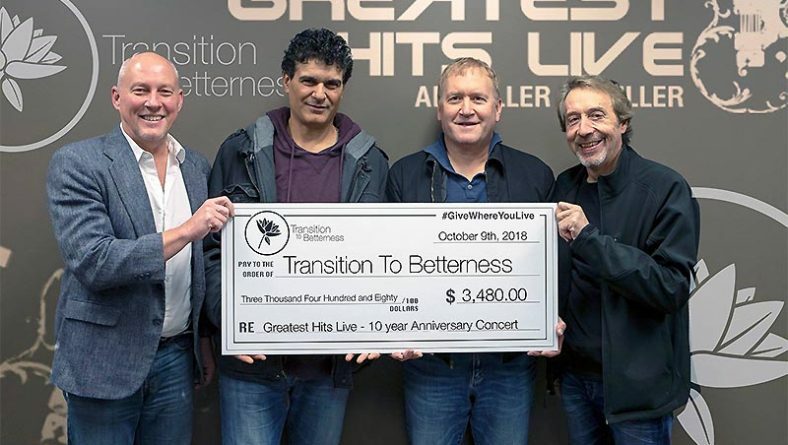 Recently the band presented a check for $3,480 to T2B (Eyes On Windsor wasn’t able to find out the amount raised for the Capitol Theatre Benefit Fund at the time of publishing this article). 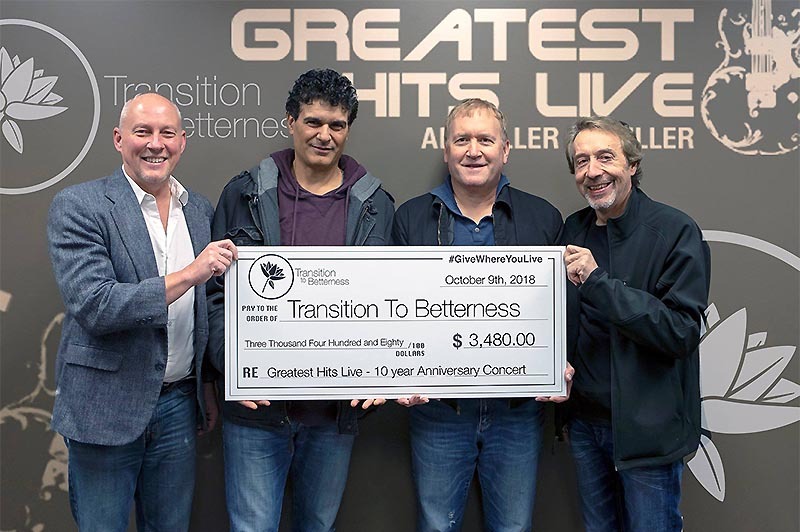 In addition to funds raised through generous donations by sponsors, Greatest Hits Live 10 Year Anniversary Concert t-shirts, donated by Jeff Doan of D&R Apparel, were sold at the concert with 100% of sales going towards Transition To Betterness. 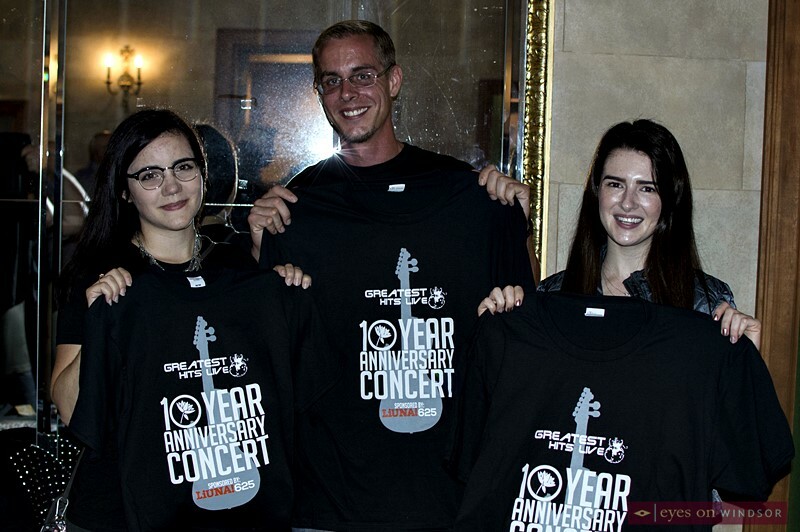 Transition to Betterness Event and Marketing Coordinator, Sandra Presand (left), with volunteers Sean Keats, and Melissa Macksoud selling Greatest Hits Live 10 Year Anniversary Concert t-shirts, donated by Jeff Doan of D&R Apparel, at the Capitol Theatre on Saturday, October 6, 2018. Photo by Eric Bonnici / Eyes On Windsor. 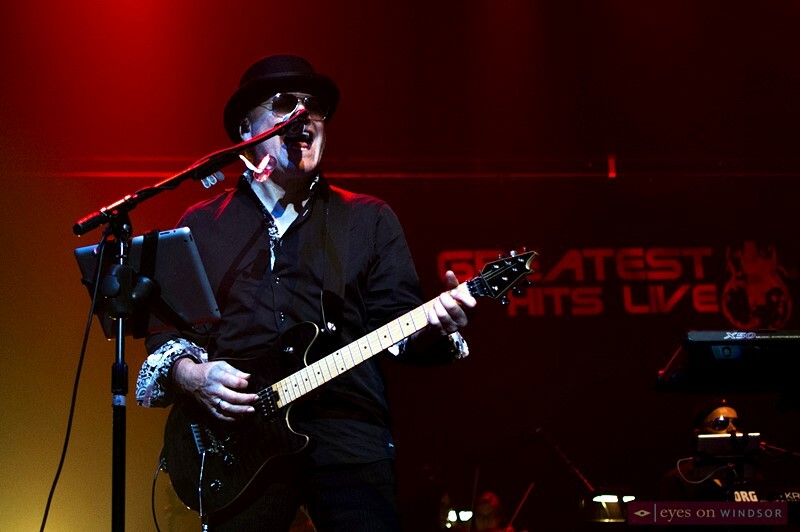 Greatest Hits Live incredible tribute shows, including the Best of Styx and Journey, Best of Canadian Rock, Best of 70s Rock, Best of 80s Rock, and The Ultimate Classic Rock Show, are renowned! 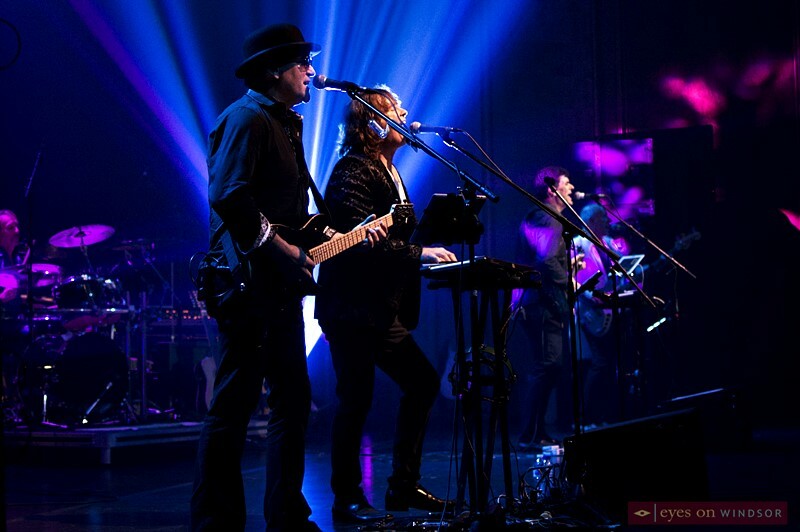 Band members include Pete Palazzolo (lead vocals, guitar, and keyboards), Jim Bonventre (drums and percussion), Paul Beresford (lead vocals, guitar, keyboards, and percussion), Michael Kohuch (vocals and bass), Charlie Lambrick (lead vocals, guitar, and keyboards), and Cliff McPherson (vocals, keyboards, and percussion). 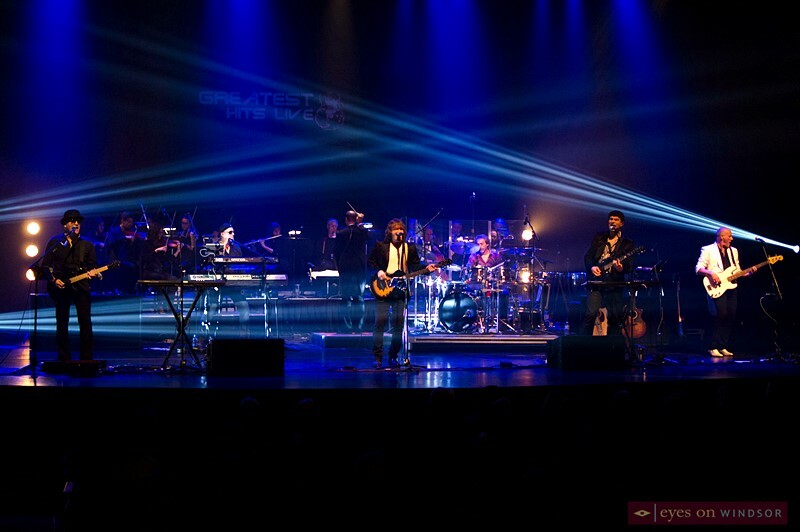 Mike Karloff conducting a 15 piece orchestra that performed with Greatest Hits Live during their 10 year anniversary concert at The Capitol Theatre in Windsor, Ontario, on October 6, 2018. Photo by Eric Bonnici / Eyes On Windsor. The band was joined by a 15 piece orchestra conducted by the incredible Mike Karloff. Mike is one of the city’s most in-demand musicians, performing jazz, pop, classical, rock, Broadway and other styles here, in Detroit and further afield. For his most recent project Mike composed the score for a new Canadian musical comedy entitled Raise the Stakes written by Toronto actor Taylor Lavigne. The show recently held it’s world premier right here in Windsor at the Olde Walkerville Theatre this past October. 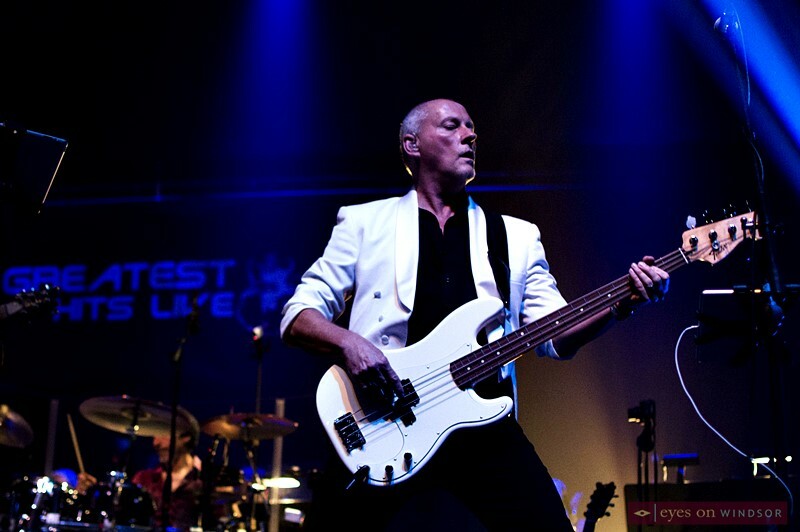 Greatest Hits Live band member Mike Kohuch (bass) performing at the Capitol Theatre in Windsor, Ontario, on Saturday, October 6, 2018. Photo by Eric Bonnici / Eyes On Windsor. 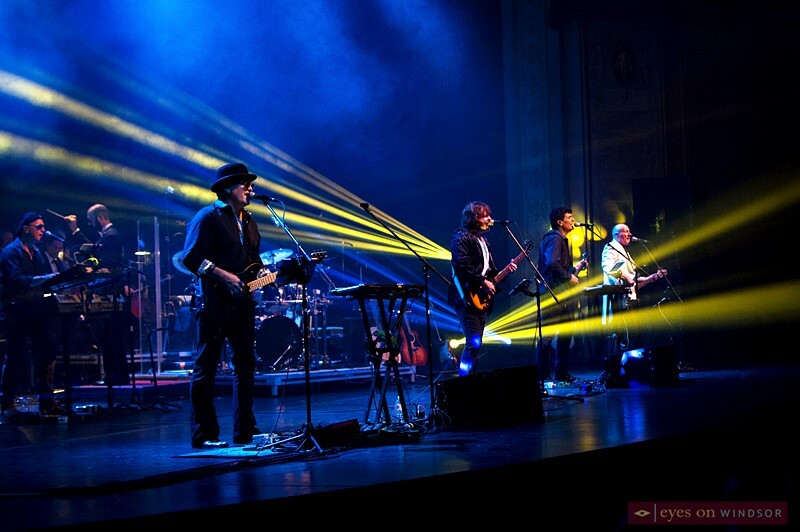 Band member, Michael Kohuch told Eyes On Windsor, this concert was one of the highlights of his musical career. Mike was amazed and thrilled to perform on stage with a full orchestra. During practice the night before the show Mike says, he couldn’t stop facing the orchestra and watching them as everyone performed. Of course during the actual concert he had to face the audience. 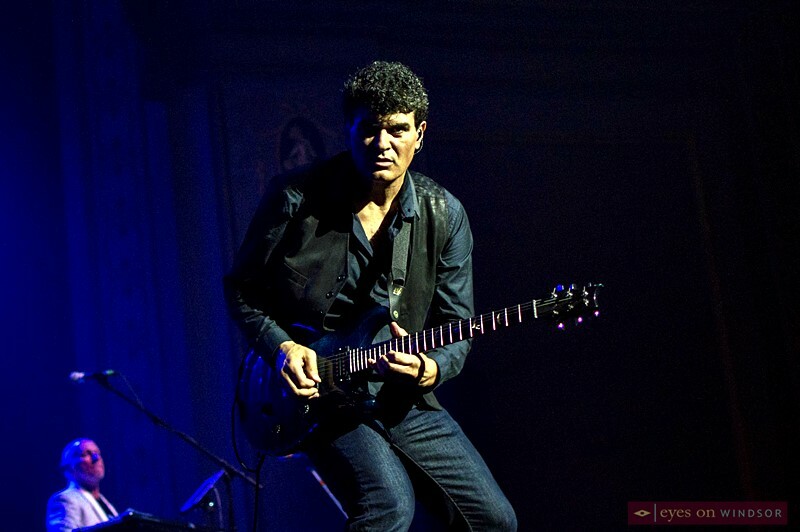 Greatest Hits Live band member Pete Palazzolo (lead vocals, guitar, and keyboards) performing at the Capitol Theatre in Windsor, Ontario, on Saturday, October 6, 2018. Photo by Eric Bonnici / Eyes On Windsor. The audience comprised of the band’s family, friends, and fans were thrilled. During the concert Pete Palazzolo dedicated one of the songs to his daughter, talented pop singer/songwriter Christie Palazzolo. Christie has recently changed her performing name to Christie Palace and made the move to Toronto to pursue her music career there. Christie and the entire audience gave a standing ovation to Greatest Hits Live following the show. 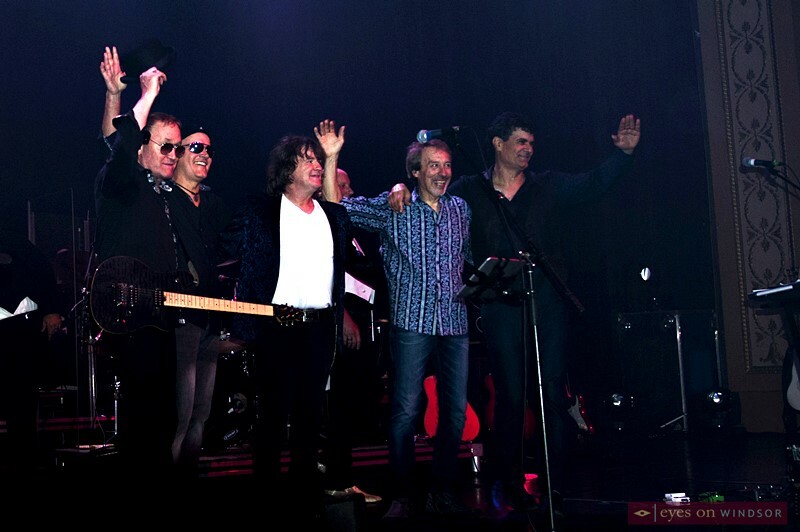 Greatest Hits Live wave to the audience following their 10 Year Anniversary Concert at the Capitol Theatre in Windsor, Ontario, on October 6, 2018. Charlie Lambrick (left), Cliff McPherson, Paul Beresford, Jim Bonventre, Pete Palazzolo, and behind them, Michael Kohuch. Photo by Eric Bonnici / Eyes On Windsor. The band has been booked for several private functions now through the holiday season, says Mike Kohuch, and public shows will be announced in the future. For more information about the band visit the Greatest Hits Live Facebook Group. 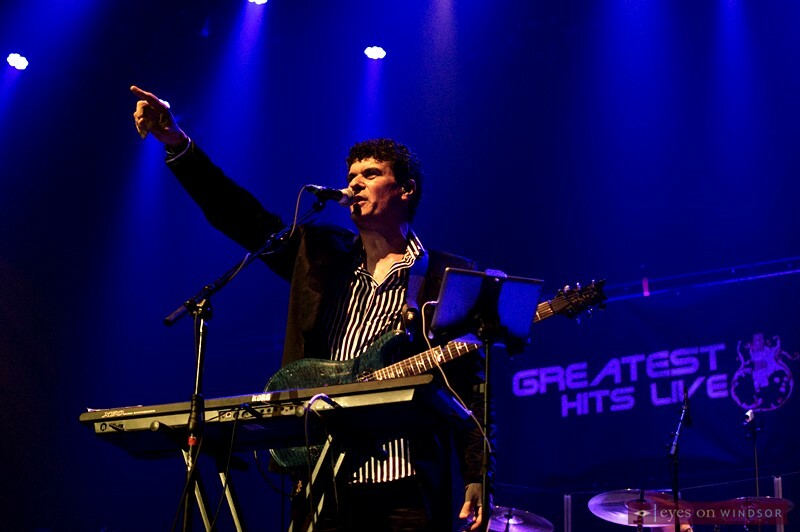 Greatest Hits Live performing during their 10 year anniversary concert at the Capitol Theatre in Windsor, Ontario, on October 6, 2018. Photo by Eric Bonnici / Eyes On Windsor. 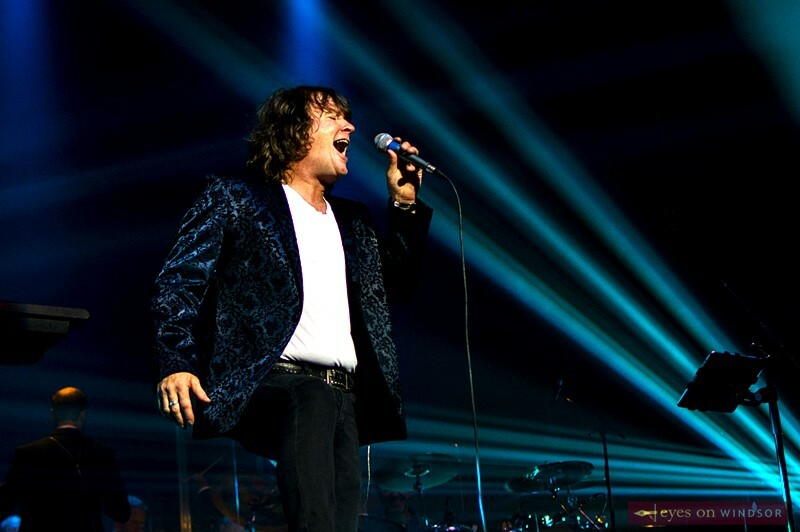 Greatest Hits Live band member Paul Beresford (lead vocals, guitar, keyboards, and percussion) performing at the Capitol Theatre in Windsor, Ontario, on Saturday, October 6, 2018. Photo by Eric Bonnici / Eyes On Windsor. 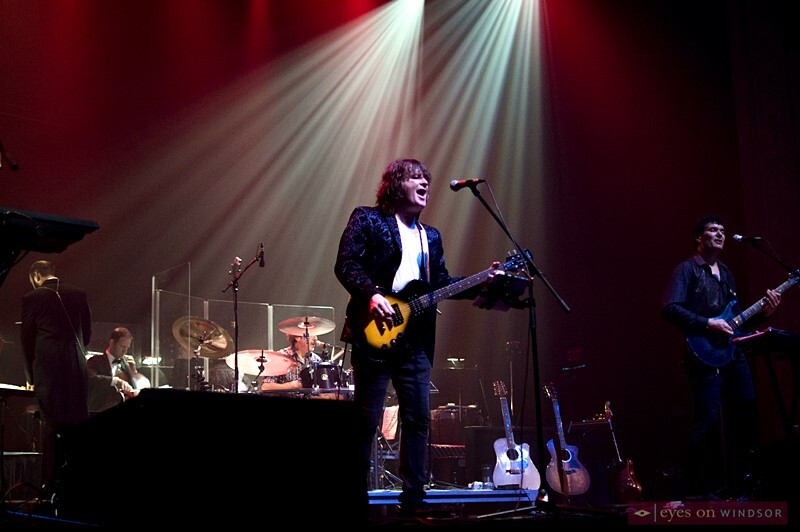 Greatest Hits Live band member Charlie Lambrick (lead vocals, guitar, and keyboards) performing at the Capitol Theatre in Windsor, Ontario, on Saturday, October 6, 2018. Photo by Eric Bonnici / Eyes On Windsor.